In the future, Microsoft plans to debut "Sets" for Windows 10, which is an all-new tabbing system for window management, similar to how tabs work in your web browser. Sets will be a unique way to manage your projects, allocating all the necessary windows you need into a single "set," able to be closed and recalled at will via the Timeline. Not everybody will enjoy Sets, of course. Here's how to quickly turn them off for that "classic" Windows experience. Note: To be clear, Sets is not yet widely available. It is currently in A/B testing for Windows Insiders. Microsoft has said that Sets will roll out to the public when it's ready, hopefully in the next big Windows 10 update, expected this coming fall. To disable sets, first, open the Start Menu. Click on the Settings cogwheel in the bottom left corner. Once in settings, select System. In the System settings menu, select Multitasking on the left list. Scroll down to Sets, and disable Tabs in apps. Once you complete these steps, windows will open as they used to, in separate containers rather than grouped into tabs. 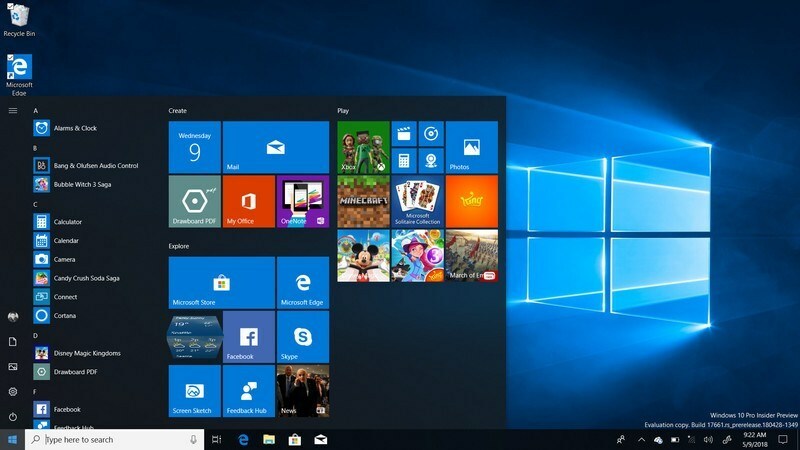 Sets was a somewhat controversial Windows 10 feature which would extend the browser tab user interface to all Windows 10 Apps, allowing users to cluster apps together like browser windows, and take a task-based approach to their apps. "Thank you for your continued support of testing Sets. We continue to receive valuable feedback from you as we develop this feature helping to ensure we deliver the best possible experience once it’s ready for release. Starting with this build, we’re taking Sets offline to continue making it great. Based on your feedback, some of the things we’re focusing on include improvements to the visual design and continuing to better integrate Office and Microsoft Edge into Sets to enhance workflow. If you have been testing Sets, you will no longer see it as of today’s build, however, Sets will return in a future WIP flight. Thanks again for your feedback." The feature had its detractors, but also its fans, one of whom asked Brandon LeBlanc of the Windows 10 Insider team when it will be coming back, answer was: "No ETA unfortunately". So, for now, you won't have to worry about how to manage "SETS" in Windows 10. We have called the feature Microsoft’s most ambitious UI experiment in years, but with demands that Microsoft spend more time testing and fixing bugs rather than introducing new features we wonder if RS6 would be a bit too early for such a radical new technology.